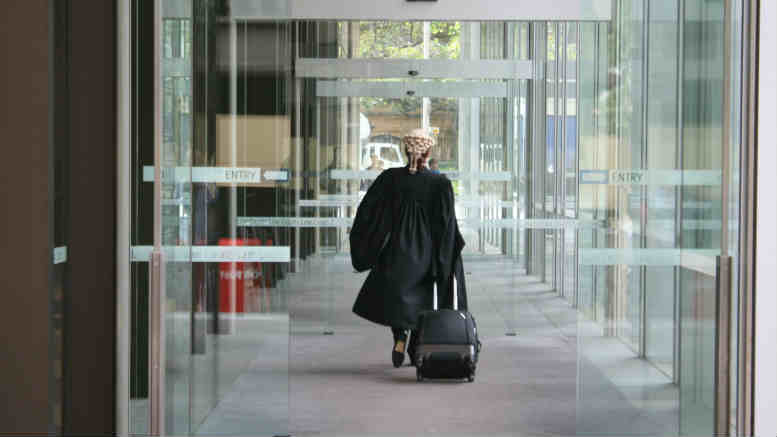 AN application to appoint PPB Advisory’s Steve Parbery special purpose liquidator (SPL) of Queensland Nickel (QN) has been lodged in the Federal Court but the stricken nickel firm’s general purpose liquidators (GPLs) are yet to declare whether they will consent to or contest the move. Quentin Olde, one of four FTI Consulting partners formerly appointed GPLs to QN on April 27 told SiN yesterday that the company’s creditors are also undecided. “We had a meeting with the committee yesterday (Tuesday) and we’re trying to understand their views and concerns and are continuing to work with the applicants to better understand the basis for the application and the extent of the role of the SPL,” Olde said. Creditors are understood to have expressed doubts about the need for an SPL. Nor is rocket science to conclude that FTI might be underwhelmed with the prospect of PPB nicking its gig. The application’s originating process seeks orders which include preventing the GPLs from doing anything specified as a designated, SPL task without first obtaining written consent. That includes pursuing claims, conducting public examinations, commencing legal proceedings and conducting investigations into any of the matters outlined in the application’s supporting affidavit, authored by King & Wood Mallesons‘ insolvency gun, David Cowling. Further, FTI’s gang of four – Olde, John Park, Stefan Dopking and Kelly-Anne Trenfield – reject any suggestion that they have a conflict of interest with their appointor, which is the usual justification for installing an SPL. Yet unanswered is the question of why the SPL applicants – The Department of Employment (DoE) and the Commissioner of Taxation (CoT) – won’t fund the GPLs. Maybe the fact that the gang of four were first appointed voluntary administrators of QN by the refinery’s owner Clive Palmer – after extracting indemnities for their fees from the billionaire – is where the difficulty lies? SiN’s Canberra sources advise that Employment Minister Michaelia Cash is determined that Palmer will somehow be made to compensate her Department for the almost $70 million it will have to pay out to QN’s 800 redundant employees via the Fair Entitlements Guarantee Scheme (FEG). While Parbery declined to comment for this story because the matter is before the courts, his Canberra connections are exemplary. SiN also understands the applicants were represented at Tuesday’s meeting, which came after they abandoned their original plan to force a hearing today (Thursday). Depending on who you listen to, the hearing didn’t proceed today because either the applicants were persuaded to give the creditors time to assess the application or because the applicants couldn’t get a suitable court time. It’s now scheduled to return to the Federal Court in Queensland on May 18. In the draft originating process lodged on April 29, the GPLs were given until 4.00pm on May 13 to either produce any and all material specified in the application, or for they and/or creditors to object. If Parbery and his joint SPL aspirants Marcus Ayres and Michael Owen are appointed on May 18, Olde, Park, Dopking, and Trenfield will be complying with the same or similar orders before the month’s out. And if not? Well that would mean someone had successfully objected. And that means lawyers laden with picnic baskets. Be the first to comment on "FTI yet to consent to Parbery as SPL"